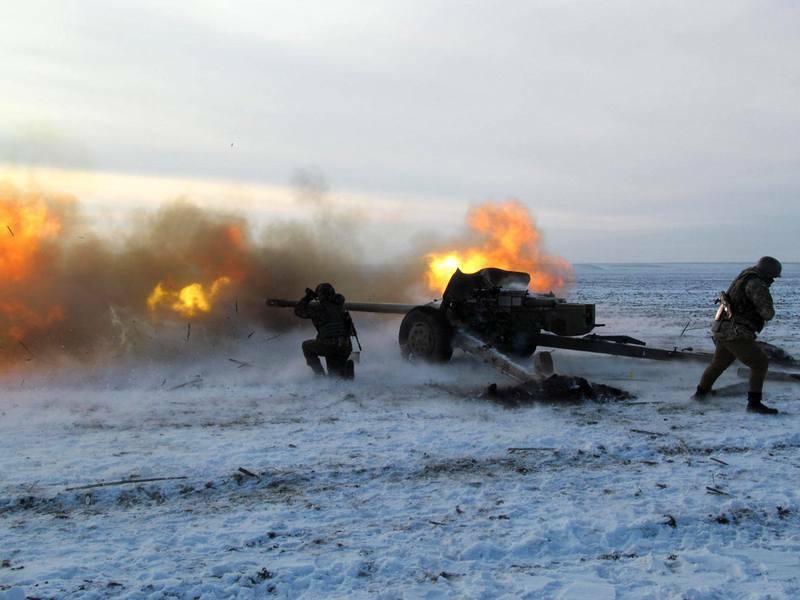 Ukrainian troops launched an offensive on three fronts ! - Upstate Berserkers vs "Gray Cardinals".... | Upstate Berserkers vs "Gray Cardinals"…. « US Expert: US preparing its nuclear forces to a surprise attack on Russia ! Ukrainian troops launched an offensive on three fronts ! December 29th, 2014 by berserker | Posted in Poliitika. Late in the evening of December 28 Ukrainian invaders began massive shelling of cities and towns of Donbass. Under fire Donetsk, Gorlovka, half Telmanovskiy district., Dokuchaevsk. Army Novorossia alerted and is preparing to repel the attacks. Advanced unit DNR withstand the onslaught of the enemy, is fighting in the northern sector of Donetsk – mine Butovka. Details boestolkonoveny and artdueley specified. “It is reported from Gorlovki that about 22:30 (by MSK) began bombing. The shells are falling on areas of mines №6, 7, deep, wide beam, mercury, and Kurganka Besarabka. In the second half of the day in Donetsk tense, occasionally heard a volley of heavy weapons around the city. According to intelligence militia continues intensive doobespechenie punitive groups in the occupied territories of New Russia. In the area of Slavyansk (86 km northwest of Donetsk) concentrates a large amount of military equipment, ammunition and food supplies. Over the past day in the area arrived at least 20 units of automotive vehicles with material and technical resources. In Stanichno-Lugano (12 km north-east of Lugansk) to strengthen the National Guard units arrived battery self-propelled guns. In the occupied part of the punitive Luhansk region has been a sharp tightening of access control.